An international group of scientists from Russia, the United Kingdom, and Germany have presented an alternative qubit design which can be used to build a quantum computer. Nano-wires made of superconductors are the design's main elements. 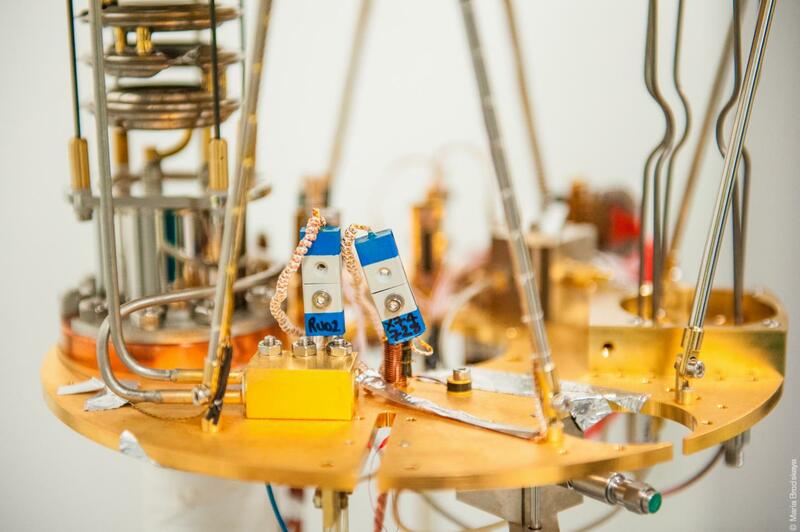 In the first experiments, the new superconductor qubit proved to be no worse than the traditional one built on Josephson junctions. Scientists expect quantum computers to achieve landmarks. Although the universal quantum computer hasn't been created yet, scientists can already design chemical compounds and materials with the help of qubits. The calculation principle on its basis even allows researchers to solve complex problems today. That is why many scientific groups are working on improving quantum computer elements. Studying and improving qubits, which are the main computational cells of the quantum computer, are the most challenging part of that process. There are several approaches to creating qubits. For example, there are qubits that work in optical range. However, they are difficult to scale, unlike qubits on superconductors operating in radio range and based on so-called Josephson transitions. Every such transition is a break in the superconductor, or to be more specific – a dielectric layer through which electrons tunnel. The new qubit is based on the effect of quantum phase slip – the controlled periodic failure and recovery of superconductivity in ultra-thin (about 4 nm) nano-wires which in their normal state have fairly large resistance. Professor Oleg Astafiev, head of the Artifical Quantum Systems Laboratory at MIPT in Russia and a researcher at the University of London and the National Physical Laboratory in Teddington (United Kingdom), was the first who experimentally observed this effect, which had previously been theorized. His pioneering work was published in Nature in 2012. According to Professor Ustinov, during the research, the international team managed to show that this system can work as a charging interferometer. &laquoIf [we] divide the wire into two sections and make a thickening in the center, then by changing the charge of that thickening with the shutter, it is possible to make a periodic modulation in the process of quantum tunneling of magnetic quanta through the wire, which is actually observed in this work». SQUID-technologies have already found their application in several medical scanning devices such as magnetocardiography and magnetoencephalography, as well as in devices catching nuclear magnetic resonance, and in geophysical and paleogeological methods of exploring Earth's surfaces. This is precisely why advanced SQUID charges can bring about serious changes not only in the world of quantum computers, but in society at-large. &laquoThe main intrigue is whether the whole set of elements of superconducting electronics can be built on this principle. The obtained device is an electric meter and measures the charge on the island of the superconductor with a margin of error thousands of times less than an electron charge. We can control it with the highest precision, as this charge is not quantized, but induced. My research group in Karlsruhe is now studying qubits on the principle of phase slippage, and the coherence times we get on them turn out to be surprisingly high. So far, they are not larger than in conventional qubits, but we have just started to work on [the project], and there is a chance that they will be larger. For example, there is also another important issue of defects in qubits, on which we have recently been awarded a grant from Google, and these defects arise in the dielectric tunnel barrier of the Josephson transition. Defects appear due to the fact that there are large electric fields in this area, and all the voltage is on a scale of only 2 nm. If we imagine that the same fall occurs in a homogeneous wire, and we don't know exactly where in the homogeneous &laquoblur» [it occurs] throughout the superconductor, then the fields that arise here will be much smaller. This means that the defects which are in qubit materials, most likely, will not occur and that we will be able to get qubits with higher coherence time, which will help to cope with one of the main problems of qubits – not much time in their quantum &laquolife», Professor Ustinov proclaimed.